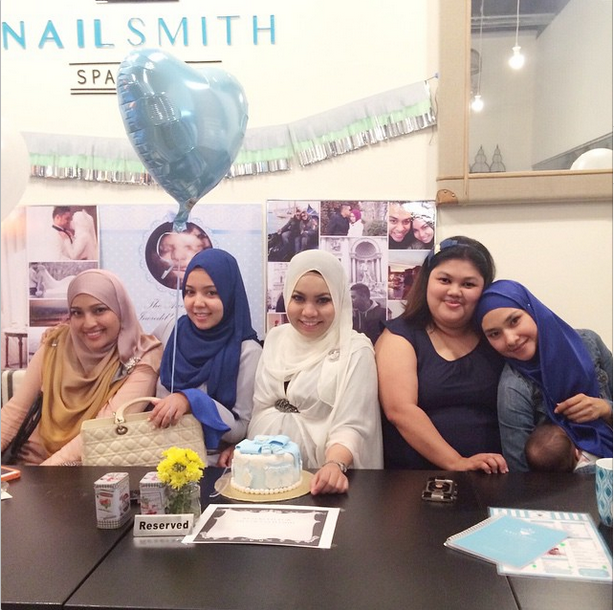 Shazwani Hamid's Blog: My Mini Baby Shower! My baby shower was held on a beautiful Sunday evening, on the April 12th.. (Come to think of it, my bridal shower was held on a Sunday as well! - Sunday is a good day for me apparently! heh) I was 38 weeks pregnant that day! Just about time to push! hehe. 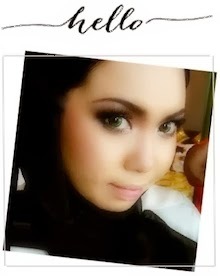 Remember my friend, Farhana? The one that I attended her awesome baby shower years ago, looking so pregnant? haha. 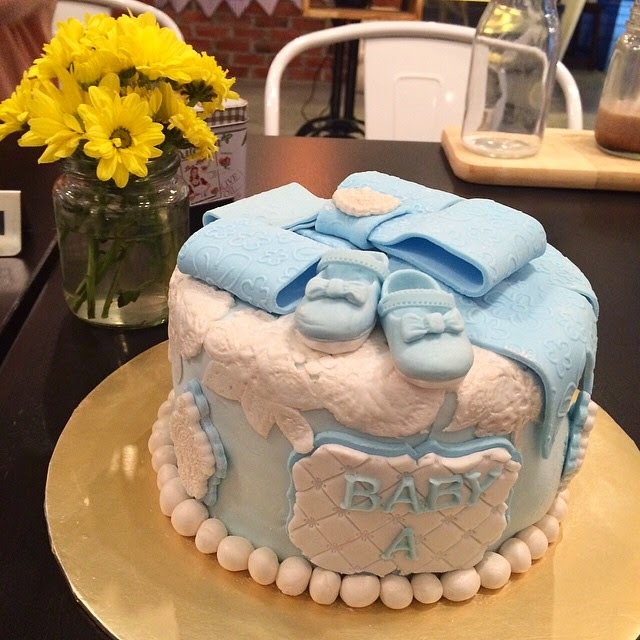 Now, she made a surprise baby shower for me pulakkk! - Awww! Such an awesome buddy she is! I'm definitely buying her another MiuMiu purse! haha. 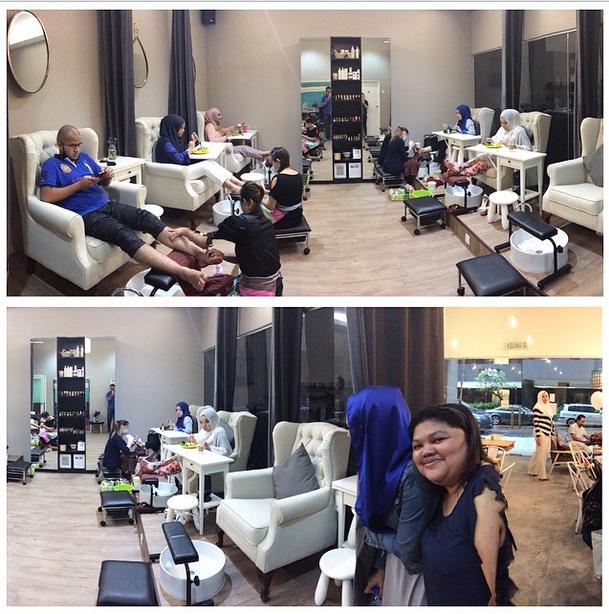 Anyways...She invited my friends and family to celebrate this special time in my life. She said it was just a mini shower as it was kinda an impromptu one. She planned like a day or two before! huhu... But still, it turned out to be such a lovely evening for me! 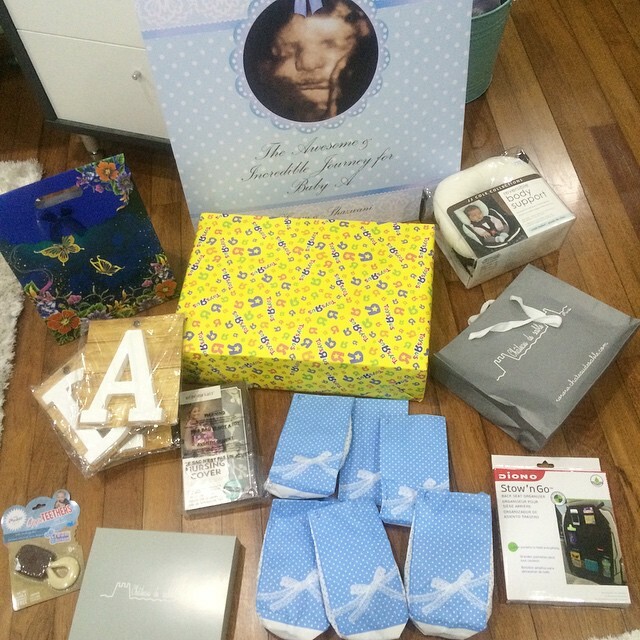 The "theme" of my baby shower was baby blue and white... Since I do not want to reveal the gender yet, so Farhana ordered a white and tiffany blue cake (boy color) with a ballerina baby girl shoes, and ribbons, and lace and pearls on my cake! Such a cute and delicious cake! 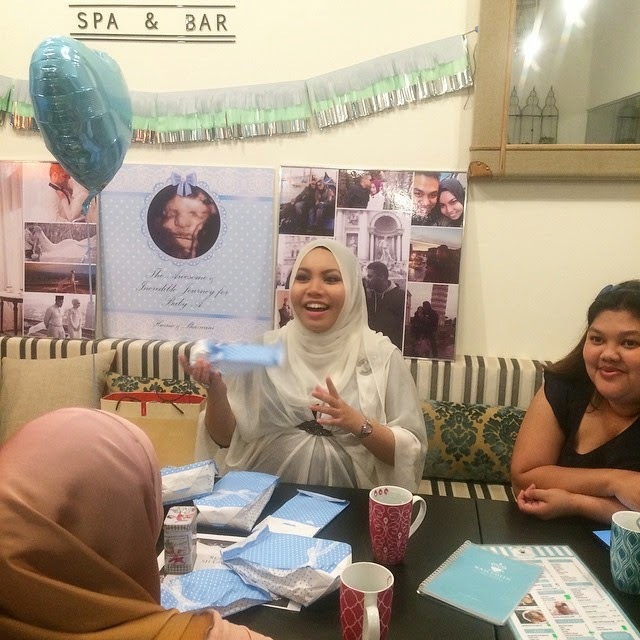 People often asked me what is the purpose of a baby shower? Can't we just do a doa selamat instead? Well...as a muslim, of course we could! But...after the baby is born inshaallah. People often say it's not really a good thing to celebrate the birth of their unborn/upcoming child, which is something that is not a sure thing yet.. as things can always go wrong in the labor room. But for me, it all depends on your niyyah and it's always best to be moderate in whatever you do. Plus, it's good to be happy and have a positive thoughts & mind throughout your pregnancy! ^__^ I read somewhere that a positive attitude and mind helps you cope more easily with your pregnancy and labor and especially, the daily affairs of life! With a positive attitude you will see the bright side of life, become optimistic, and expect the best to happen, inshaallah! 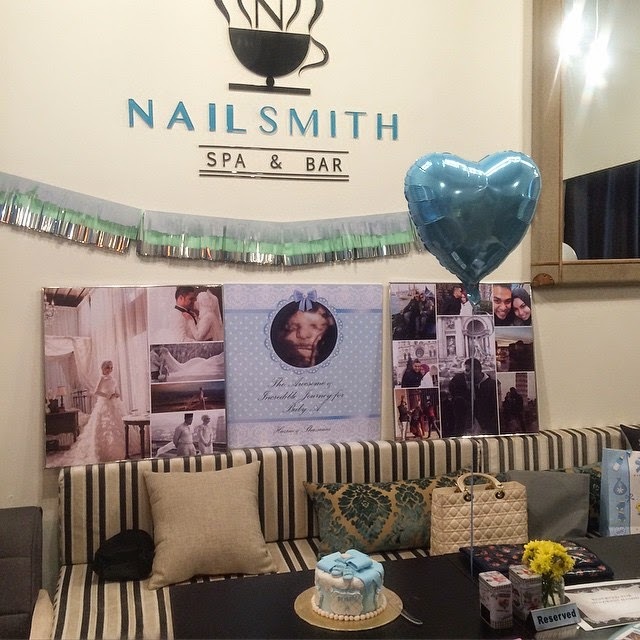 My small baby shower held at a Nail Smith Spa & Bar! Mom to be with her friends and family. Some has left though. 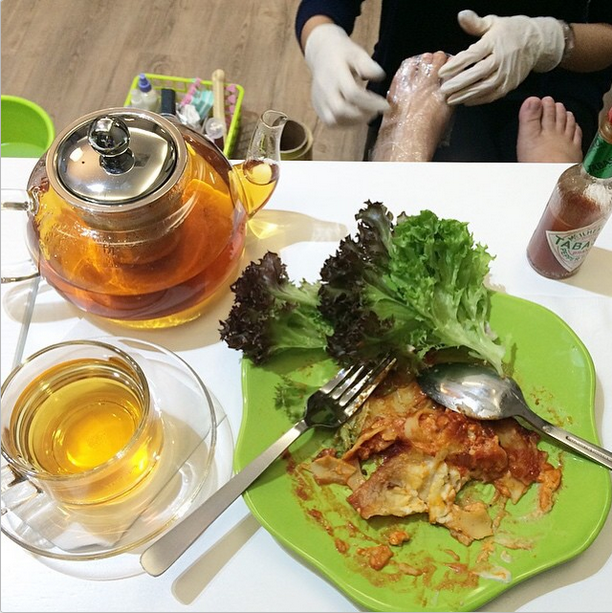 Enjoyed a nice lasagna with a cuppa tea while my feet is being massaged! While the mommas play our little games inside, the kids had fun playing outside too! Later that night, my husband brought me to some baby shops to get me a nice diaper changing table for my baby shower gift! Awwww thank you darling! You're awesomeeeee!